Salvage Texas explores the creative possibilities with what most people consider trash. We have a tiny house village built entirely with up-cycled and reclaimed materials and have now expanded our vision to encompass our 43 acre property with sustainable living examples, salvage art installations and an outdoor salvage market. We are fundamentally a membership based organization, focused on inspiring and empowering our tribe, and invite you to take part in helping us grow Salvage Texas. Experience simple living overnight in our tiny house village. Guests gets access to our co-ed community bathhouse with showers, toilets, and sinks. Single, group, and event reservations available. We teach online and hands-on workshops with salvaged and re-purposed materials that include projects ranging from bird houses to entire tiny homes. 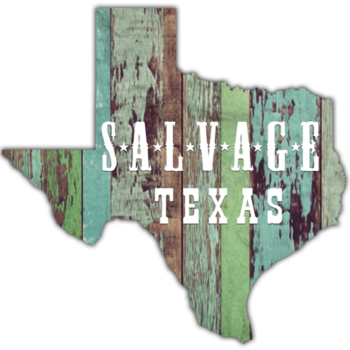 Our Pure Salvage Living Online membership platform gives members worldwide access to our courses and special members-only perks at Salvage Texas. An open air market for all things salvaged, repurposed, and sustainable.